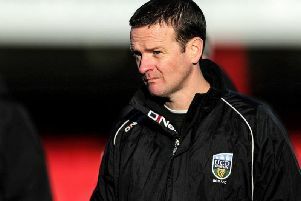 Derry boss, Declan Devine expects a tough test at the UCD Bowl. 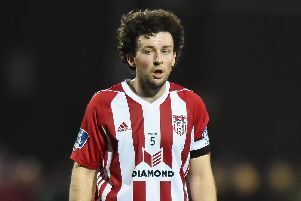 DECLAN DEVINE accepts it will be a ‘challenge’ for his Derry City side to play in front of an empty stadium at the UCD Bowl tonight but insists his players are mentally ready for the challenge. The Candy Stripes make the first of two trips to Dublin in the space of four days when they meet UCD tonight at the Bowl - a venue which is notoriously lacking in atmosphere. Just 515 spectators watched the students defeat Waterford 4-1 last weekend while a paltry 500 were in the stands for the visit of relegation rivals, Finn Harps the previous weekend. It’s not the bumper crowds City have grown accustomed to so far this season with Devine warning his side must be disciplined in their approach and replicate the determination and desire shown against Finn Harps last week as they seek to make it four wins on the bounce. “This is a game we have to make sure we’re right for,” said the City boss. “There won’t be a big, passionate crowd behind us or that real smell of Friday night football in the air. “It’s a difficult game in an environment and a stadium which is very difficult to play in. It lacks atmosphere and the pitch isn’t in great nick. “One thing I can guarantee is that our players will be mentally focused and disciplined in their approach to the game. We spoke about UCD all week, it’s a difficult game at a difficult venue but ultimately we can’t control them, only ourselves, and if we play anywhere near our capabilities then we’ll see where it takes us.